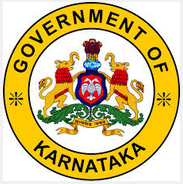 Rural Development and Panchayat Raj (RDPR) Karnataka has recently released a recruitment notification to fill up Assistant Engineer (AE) and Junior Engineer (JE) vacancies. Who are eligible and interested they can apply online mode by visiting official site of RDPR before last date. Candidates also check other details about RDPR Recruitment 2015 like exam syllabus, pattern, previous question papers, model papers, how to apply, salary, selection process, and more details are given below.